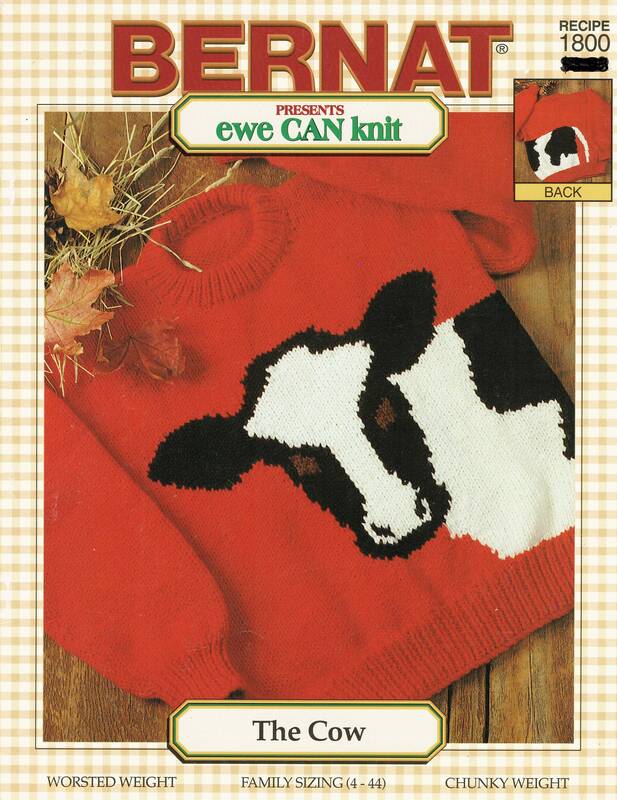 Bernat THE COW pattern book presenting patterns from eweCanknit with family sizing child's 4-14 and adult S-XL. child's patterns uses worsted weight yarn [5 sts/inch]. Adult sizes uses bulky/chunky yarn 3.5 sts/inch. Child's finished chest sizes 28-38 inches. Adult's finished chest measurements 40-52 inches.